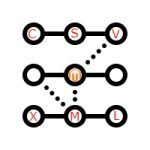 We’ve already described the Amasty XML Sitemap Magento 2 module, and in the following post, you can find our review of its user-oriented version. Meet the Amasty Magento 2 HTML Sitemap extension – a tool that substantially improves the default navigation through your ecommerce store. With the help of the module, as a store administrator, you can fully customize the layout of your HTML sitemap and include or exclude any pages from it. You must admit that this is an easier way to find something than constantly switching between menu items. Unfortunately, you cannot create such an HTML sitemap with the default Magento 2 platform. It is necessary to install a third-party Magento 2 HTML sitemap extension, and the Amasty’s tool is a perfect solution to achieve your goal. Below we explain why. First of all, you get an opportunity to include or exclude category, product, and CMS pages from the sitemap. Moreover, if you have the Amasty Landing Pages Magento 2 module installed, it is also possible to add links to landing pages. Any unnecessary links may be excluded. For instance, you don’t want to show a certain CMS page in the HTML sitemap – it’s not a problem if you use the Amasty Magento 2 HTML sitemap extension. It is even possible to hide out of stock products from the sitemap! Another great feature is a search field. To improve the navigation even more, Amasty adds it right to the HTML sitemap page, so customers don’t need to scan all pages to find the desired one. Thy only need to enter a right query. 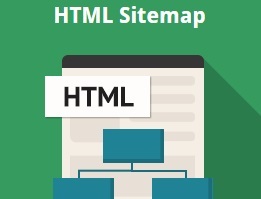 As for SEO improvements, the Amasty Magento 2 HTML sitemap module allows you to add metadata to the HTML sitemap page. As a result, search engines better understand what’s going on and what to do with the page they’ve just discovered. Furthermore, you can set the order for your content in the way you want Google to prioritize it when crawling your website. 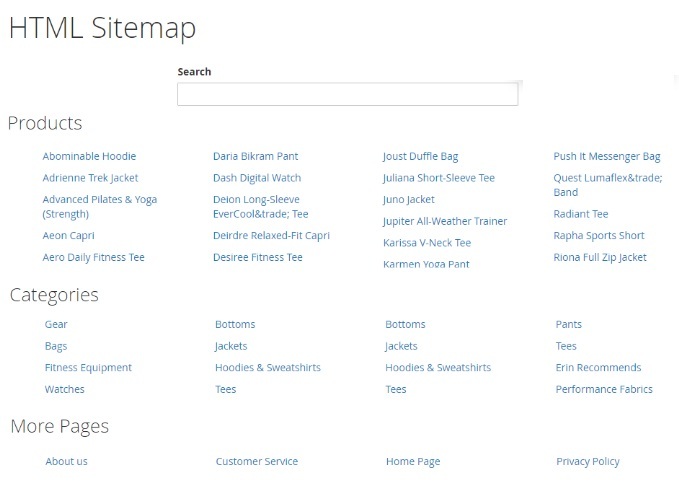 The Magento 2 sitemap module enables you to do it using a drag and drop tool. Customize the layout by setting the number of columns. Note that it is possible to implement an individual layout for each block. 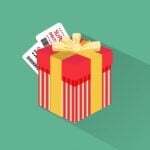 Use unique subheaders for each sitemap block. Select tree or list display type for categories. Rearrange products by splitting them on the basis of the first letter. Go to Stores -> Settings -> Configuration -> Amasty Extensions -> SEO HTML Sitemap. Here, you can configure the Magento 2 HTML sitemap extension. The page contains 5 tabs: General, CMS Pages, Categories, Products, and Additional Links. 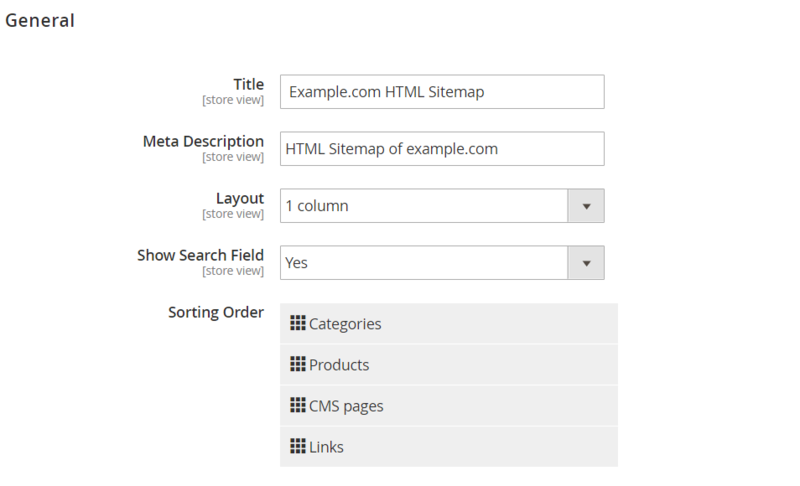 In General settings of the Magento 2 HTML sitemap module, specify a page title and meta description, select the layout of your HTML sitemap (1, 2, or 3 columns), and enable the search field (we definitely recommend you to do this). Here you also set the order of your content using drag and drop tool. 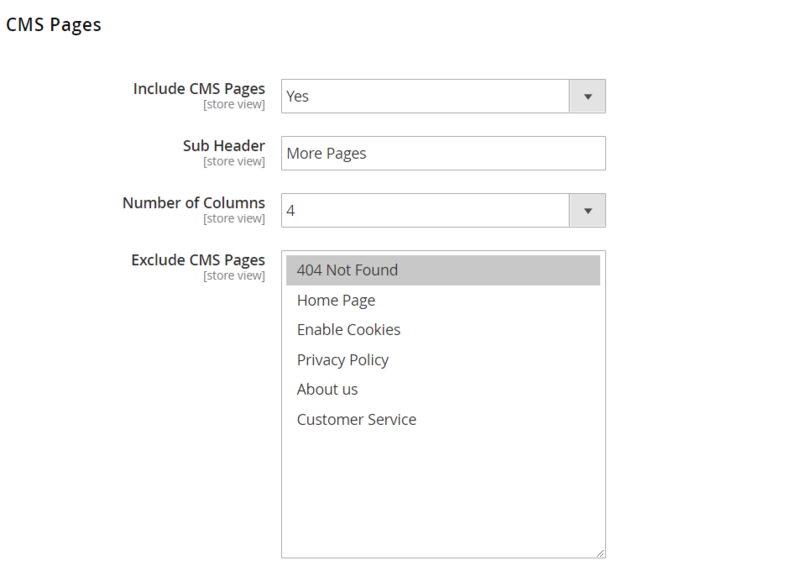 The CMS Pages section allows you to decide whether to include CMS pages in the sitemap, specify a custom subheader, select the number of columns for the appropriate block, and choose pages to be excluded. For categories, the Amasty Magento 2 HTML sitemap extension allows specifying a subheader, excluding specific category IDs, selecting a layout (tree or list), and setting the number of columns (1-5). 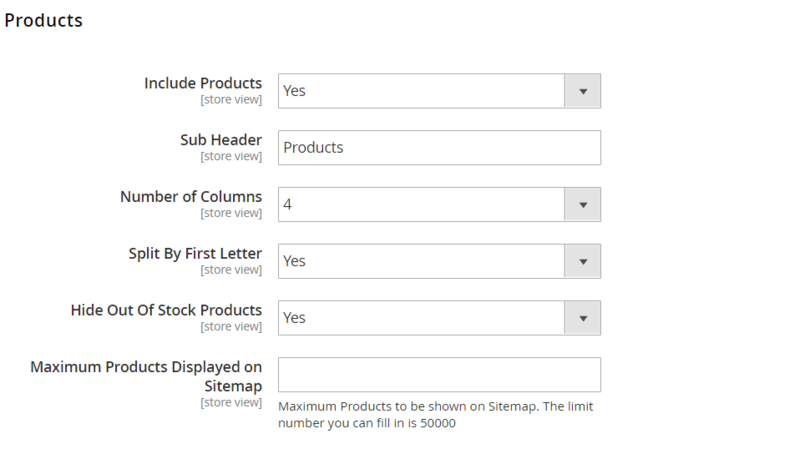 The Products block also includes such options as “Sub Header” and “Number of Columns”. 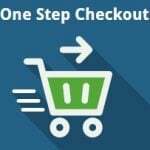 Additionally, the section allows you to enable “Split By First Letter” and “Hide Out Of Stock Products” options and specify the maximum number of products displayed in the sitemap. In Additional Links of the Magento 2 HTML sitemap extension, specify a subheader and select the number of columns for the block. Next, add any additional links in the following form: “link text, link URL”. Each link must be specified in a new row. Here is how a search field works: type the first character, and the Magento 2 HTML sitemap extension will narrow down the selection of pages. Type another character, and there will be more items on a page. Now it is possible to exclude specific categories from the sitemap. New feature: sorting order of the sitemap content (Categories, Products, CMS pages, Links, Landing pages) to define in which priority Google should crawl it. Possibility to set the limit on the number of products displayed in the HTML sitemap was added.